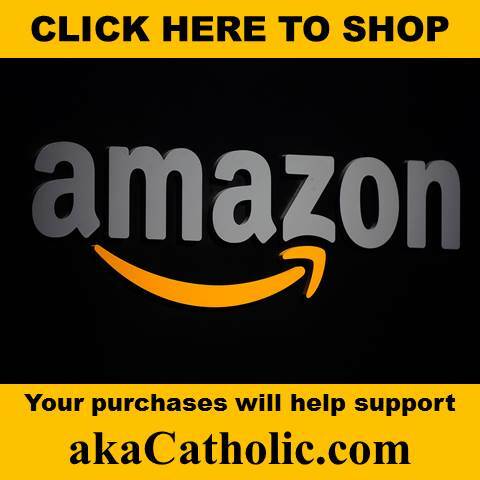 Is the SSPX preparing for regularization? On July 16th, DICI published a Communiqué from Bishop Bernard Fellay intended for “All Members of the Society of Saint Pius X” (i.e., the priests of the SSPX) that not only echoes the previously issued statement, but also seems to offer a bit more clarity. I invite you to read it in its fullness via the hyperlink above, but following is my take on the most salient points. The operative phrase here is above all. As I wrote in response to the last Communiqué, this would seem to suggest that the SSPX, while not making of canonical recognition a priority, is not ruling it out (as some have alleged). In the present case, Bishop Fellay seems to expand on this point; making it rather plain (to me anyway) that the Society considers its canonical status a matter of some importance. At the same time, he is at pains to ensure that it is viewed in its proper context. Again, one gets the impression that His Excellency is leaving the door open for a possible juridical remedy to their irregular canonical status, but with the caveat that this alone will not solve the present crisis. The Communiqué suggests that the crux of the crisis in the Church today concerns an exaggerated focus on “human dignity, man’s conscience and freedom,” which amounts to the virtual dethronement of Christ. The Communiqué suggests that this crucial work will necessarily be part of the solution to the present crisis. 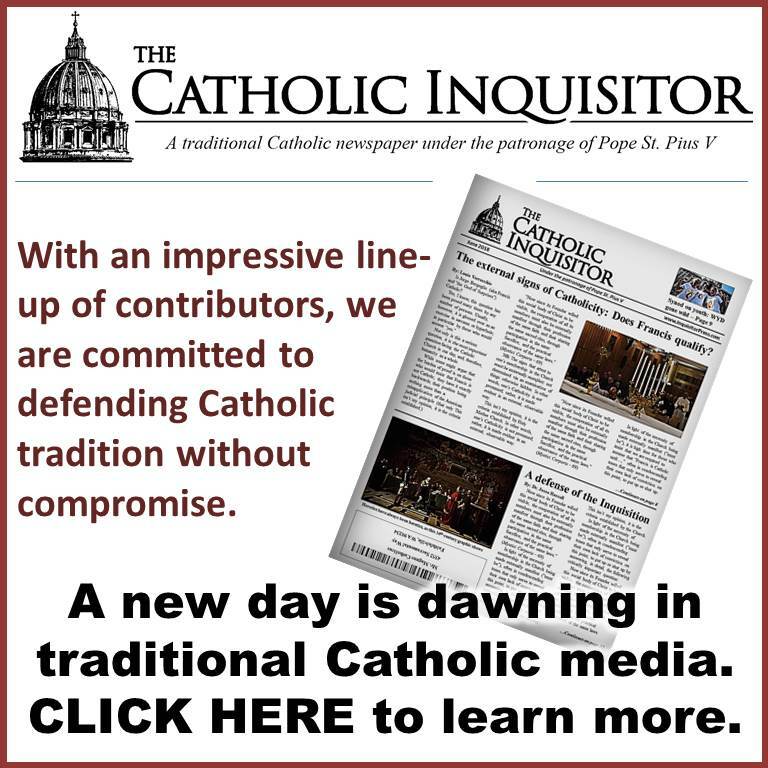 “It is incumbent on us at the present hour to redouble our efforts and to intensify the same fight on the same principles,” Bishop Fellay wrote. I have no idea how other Catholic commentators are reading the Communiqué in question (I am traveling at present and have limited internet access), but it certainly seems to me that Bishop Fellay is preparing his priests for the possibility (perhaps even eventuality) that the Society’s juridical status will be regularized by some papal act in the foreseeable future. It seems to me that the Society’s position is that a papal act granting regular canonical status to the SSPX (even if it comes from the hands of the blasphemer, Francis) should not only be accepted, but perhaps even considered as possibly marking the beginning of the process of restoration roughly outlined above. NB: Recalling that the last Communiqué specifically mentioned the approaching centennial of the apparitions in Fatima, I would caution those who might believe that the Society is naïvely disregarding the role that chastisement will play in the Church’s recovery. These are my thoughts, for what they are worth. What are yours? When the SSPX are regularized, certain Neo Catholic Blogs & Video Networks will be Irrelevant. I just read the book. Not only is Voris all screwed up, but so is Mrs Niles. So disturbing about Michael Voris. I guess GMU and Danielpan were right way back when this story broke when they said that there had to be more to this story. 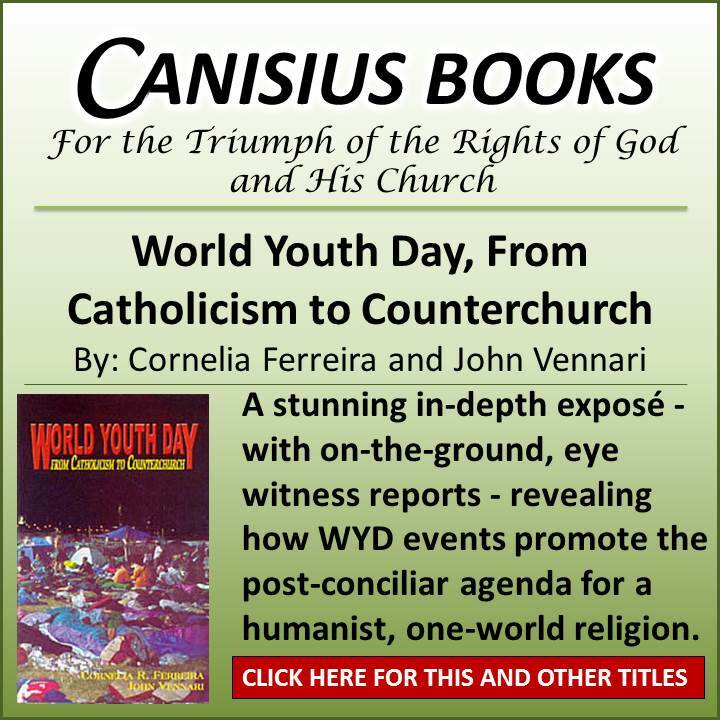 I believe that they also said that they did not believe that the NY diocese going to reveal anything about Voris. I guess they were right there, too. Whether it is Francis speaking or Fellay speaking, it really bothers me that we have to read in between the lines. Speak plainly without others having to interpret what you say. I have great respect for Bishop Fellay and the Society. However, communiques coming from the Society should be plain and simple–no guess work required. Make one, final absolutely CLEAR statement and let that be the end of it, whether we agree or not. It’s all getting so tedious. These matters are too important to be anything but ABSOLUTE without wondering “What does he really mean?? ?” It’s ridiculous!! I was under the impression that Fellay is waiting for a pope who follows Sacred Tradition. Bishop Fellay is not stupid. Does anyone think for a minute that he is referring to Francis??? Dave001–If Fellay’s message is CRYSTAL clear, why are we having this discussion? I have just re-read it and still I’m not sure what he is saying. It is very likely that I just don’t have the proper understanding of what is CRYSTAL clear. Could you interpret Fellay’s message for me. I think others will appreciate this also. I have great respect and gratitude for Bp. Fellay and the SSPX. They are preserving the faith during this crisis. That is why it is so important to convey messages which leave no doubt, even for minds like mine. As far as I can see, people are discussing the implications, and not the actual meaning of the text. Given that Bp. Fellay should be given the benefit of the doubt, I would say that the onus should be on you to prove that any of his statements are deliberately vague/unclear/misleading, etc. Implications of regularization…or not regularization? That is the question. In spite of those who think Bishop Fellay is crystal clear, I have been listening to him speak for decades and he is not speaking clearly as he used to do. I had great hopes after the first statement, but now my fears are back. He is not saying the same things in both of these communiques to my mind. I am very much afraid he is getting the priests ready for the deal and I know it will cause a split like we have not yet experienced. Why are there so many here who seem to be blindly optimistic about a deal? Are they completely unaware of what has happened to those who have gone before us? Do they think that because, as they put it, Bishop Fellay is “not stupid” that he is somehow immune to falling prey to the wolves in Rome, who are infinitely more shrewd? We must judge things as they are, not as we wish they were. Presently, on the throne of Peter, sits worst pope in the history of the Church, and there have been some real blighters. And the question that Bishop Fellay thinks is right to ask right now is whether or not this it the time for the restoration?! How about waiting in the catacombs until better times instead of marching right into the jaws of the beast with our children and vulnerable ones who need clear lines drawn for them, not this we’re okay, the Novus Ordo is okay tack? There is no need for an agreement at present. Those who can see are with us and those who like tradition but don’t fully understand, and may never understand, are with the “indult” where they can be happy and feel safe. God brings to the Society who He will and there is no need for panic over numbers of souls saved. That is not our concern, all we have to do is keep ourselves unspotted from Modernism and we won’t do it if we don’t keep a distance from Rome and the bishops. Invariably, if a deal is made, no longer will the Society be free to criticize the disaster that the Conciliar Church is. Overnight, all of the things that Archbishop Lefebvre railed against the Society of St. Peter, Campos and all of the “collaborating” groups for will be forgiven, forgotten and taken up by the SSPX. Bishop Fellay has no strict obligation to those outside of the Society, but a great obligation to those within it. And in fact, he would be doing a greater service to those outside of it to maintain the purity of a Society that does not compromise, does not blur the lines and does not go quietly into the night of the Novus Ordo Church of darkness. The two Churches are not the same. Archbishop Lefebvre saw it and said it, why does Bishop Fellay have such difficulty seeing it? You are assuming Bishop Fellay will make the same deal as others have. Saving souls is precisly the business of the SSPX. They must fight. If they can get the Pope to recognize them even though they say the New Mass is illicit and Vatican II is erroneous then that would be a great victory and would deligitimize neo conservatism even more. There is only one Church. Ubi Petrus ibi ecclesia. I’m sure Bishop Fellay looks beyond the SSPX. He sees in a true pastoral sense, all those who are being fed misinformation by Ecclesia Dei and the FSSP. A lot of people could benefit if the cloud over the SSPX were to be lifted. Frankly, I don’t think SSPX has anything to be regularized with; it is Catholic and I can’t say that about many (most) of those who occupy what has been Catholic real estate. That being said, Lord, will you save 10,000 souls if THEY see SSPX as regularized and, therefore, available to them? How about 1,000? How about 100? You get the idea. In contrast, how many millions will lose their souls because what they think is the Catholic Church will have led them astray? If it takes “regularization” to bring souls to Christ, I’m all for it. By the way, nobody HAS to read between the lines. Just read what his excellency said. Sometimes what is said is just what is meant. Interesting concept today. tradprofessor-Louie uses the word “suggests” (2X?) and “appears to be saying”. Why is Louie not sure of what Fellay is saying? “He considered faithfulness his greatest duty, according to the words of the Gospel: “Whoever does away with one of these least commandments (of the Faith), and so teaches men, shall be called the least in the kingdom of heaven” (Mt. 5:19). He saw himself simply as the echo, the reflection, the mouthpiece of the Church and the Councils, as well as of the teachings of the Popes. It was by his mouth that Pius VI again condemned the French Revolution and the so-called Rights of Man. It was through him that Pius IX again in our time lifted up his voice to condemn religious freedom as iniquitous, as he did in his encyclical Quanta Cura. It was through him that the Syllabus came back to life in our own time to oppose the aggiornamento of the Church, its adaptation to contemporary errors and the spirit of the world. The great encyclicals of Leo XIII were on his lips as if this Pope had spoken to us himself. But it was especially St. Pius X who by him, in the 1970’s and 1980’s, anathematized a Modernism and a new Sillon movement whose ravages today are much greater than under the pontificate of St. Pius X himself. 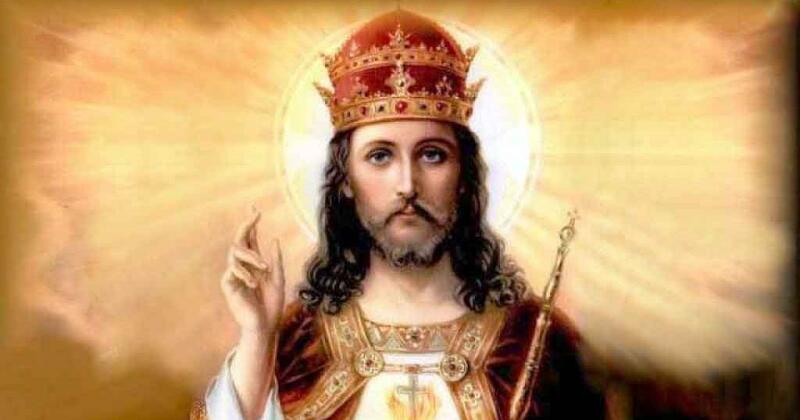 Since 1960 no other bishop has insisted, as he did, on the doctrine of the encyclical Quas Primas of Pope Pius XI on the Social Kingship of Jesus Christ. Nobody else has fought the Communists with an energy comparable to his, according to the request of the encyclical Divini Redemptoris, where Pius XI designates them as the chief enemies of Christendom and rejects as impossible any collaboration with them. The same thing could be said for Freemasonry. He listened carefully to the warnings of Pius XII in Humani Generis against the new philosophy and theology, and, again, he passed these warnings on. “The Traditional Benedictine Prior, Dom Gerard, tells me that an agreement with Rome would have opened up for us a huge field for the apostolate. Maybe, but in a world of ambiguity, facing in two directions at once, which would make us go rotten in the end. They insist: “But if you were with Rome, you would have more vocations.” But vocations like that, if you breathed one word against Rome, would make life in our seminaries impossible! And if we “came to an agreement” with Rome on that basis, then the diocesan bishops would say “Then come along and join in the dioceses”, and little by little Tradition would be compromised. “…Let anyone just read the letter of the former seminarian of Econe, Carlo, who went over to Rome to set up a conservative organisation there, called “Mater Ecclesix”, who tried to corrupt our seminarians by getting them to leave us, but whose eyes have since been opened wide by the trickery of Rome. In that letter he admits that Rome treats them like outcasts, that they are forced to take off the cassock, that nobody receives them. He has found out what this Rome is like. Rome wants to turn the Society into another “Mater Ecclesiae”. And when the first “Mater Ecclesiae” collapsed, Cardinal Ratzinger rejoiced. These examples of betrayal are what have so many people concerned when they even suspect any coming reconciliation that might entrap the SSPX with a corrupt Rome. And if current reports are true, Francis is about to replace Muller with Schonborn as head of the CDF. Maybe the Good Lord is letting all the heretics get put in places of authority and influence, before He takes action to restore His Church hierarchy. The sermon last Sunday at our chapel was all about how the Society and its faithful adherents cannot and will never accept Vatican II and the reasons why we continue to resist. I’ve no doubt that Bp. Fellay will accept a reconciliation with Rome within the next year. Maybe sooner. And any priest in the SSPX who openly disagrees with the reconciliation risks being booted out of the SSPX, as Bp. Williamson was. Bp. Fellay has not yet addressed the inherent contradiction: that he believes that the most Extreme Modernist Pope Ever will use the SSPX to restore the priesthood, the faith, and tradition. It doesn’t make logical sense. It’s possible that Bp. Fellay is getting information from some sort of seer wo is feeding him information that he must reconcile. That’s all I can think of tha could cause him to go off the deep end and want to reconcile with the Mad Hatter Pope and conciliar church. Msgr Williamson was expelled from the Society because of his grave and public disobedience to the Statutes of the Society and his legitimate superior in legitimate commands. In particular he refused to cease publication of his “Eleison Comments”, despite that personal publications (including blogs) have been prohibited to Society members for a decade, despite having been asked several times. He then openly called for rebellion against the legitimate superior, when that superior has simply asked him to finally start following the rules of the Society. No Society member has been expelled or censured for their personal views on canonical regularization, so long as they have not tried to undermine the authority of the Society by revolutionary (i.e. Liberal) tactics. Secondly, no one is “agreeing” to anything. One does not “agree” or “discuss” or “negotiate” with one’s superior. The Pope, even if he be a blasphemer and possibly a heretic is still Bishop Fellay’s superior. If the Pope offers a unilateral recognition the Society has no say in the matter. It would be simply the just thing to do to recognize the illegal and invalid suppression of the Society in 1976. Simply put, there is no deal, and no reconciliation. The Society has made it’s Catholic position clear to the Holy See. If asked to continue to explain the Catholic Faith to the CDF, I am sure Bishop Fellay will happily go or send people to do so. If the Holy See wants to do what is just, it would unilaterally recognize the Society’s existence and status. The only aspect to “discuss” is exactly what how any canonical structure must be crafted to fit the Society’s actual structure and operations. Thirdly, there is no one seeking this recognition on the part of the Society. The communiqués have been undeniably clear on this point. All of this began seven years ago when the Holy See asked the Society to request the nullification of the “excommunications” and to come for Doctrinal Discussions. The effort at an “agreement” has been the Holy See’s initiative. That became crystal clear when the near the end of Benedict’s pontificate that effort was hijacked by CDF members and then only picked up again by the instigation of the Holy See. The impulse here is consistently from one place: the Holy See. If the pope be a public heretic than he is nobody’s superior as he is not even a part of our Church. Why is this such a hard concept to understand???? This is why we are where we are today….because good men and women choose to act as fools. No….if the pope is a public heretic then he is no longer Catholic and therefore no longer a pope and therefore of no significance. Bergoglio is not simply “confused” on some point of undefined teaching; he is not simply one who lives in the state of constant mortal sin…he instead openly opposes/rejects the known deposit of the Faith. He is a BLATANT heretic and therefore cannot POSSIBLY be a pope because as a heretic/apostate he is separated from the Church as any man who rejects the Faith would be. Its an impossibility that one who obstinately rejects the Catholic Faith can be its head. rich–I agree with what you say. However, whether Bergoglio is a real pope or a fake pope, unfortunately, he has a lot of significance in a very bad way. The real fault lies in the Cardinals and Bishops who “go along to get along.” They are no better than Judas, the betrayer. All bishops and cardinals of the vatican 2 church are lost. You have the sedevacantist bishops and the SSPX bishops….thats it. Rich, that’s your opinion, which I would argue does not accord with St. Robert’s thesis or any other theologian frequently used to defend the sedevacantist hypothesis, but that’s not the point. The Society’s position is that the Pope is the Pope and despite his errors, retains the authority (since he’s not been adjudicated of the crime of heresy). If that’s correct, and the Society think it is, then the only reasonable and logical thing to do is to recognize the man has the legitimate authority in legitimate commands. The Society is only following the logic of their position. You might think they are wrong, but that’s an entirely separate question. The Society superiors, if they believe their own position, which we have to assume they do, have to act according to their conscience, even if you think it is erroneous. I know what the society’s position on the public heretic bergoglio is….and if they decide to walk hand in hand with him you will see many SSPX priests leave the order. Until Rome sees the errors of Its Ways and reverts back to Traditionalism, I feel the SSPX should not even think about reconciling with them. They are shrewd and weave a dangerous web. Archbishop Lefebvre believed in Restoring all things in Christ. We must continue being strong, raising up Holy Catholic Priests, and continuing to show Rome that people today are Not happy in N.O. ; they are looking for the ‘Truth” again, and they are squirming in their seats every Sunday knowing in their souls that something is not right. The Society must stay on its current course and not waver to Rome. As St. Ambrose told Augustine, “You, Augustine, cannot find the Truth… rather the “Truth” will find you, and that ‘Truth’ is Jesus Christ. ” We must stay on course and not waver, Our Blessed Mother will bring the Restoration. Stay faithful. Pray much. Mr. V., if you have time to review it, I’m hoping you’ll post a comment on the latest E-book by E. Michael Jones–titled “The Man behind the Curtain Michael Voris and the Homosexual Vortex”. I’m reading it now, and noticed he quotes you in his 6th footnote, (as an anonymous Gloria t.v. blogger talking about your13-part VII series being removed from Voris’ blog and why). I personally had no use for voris for 3+ years now. With that said, Jones has no use for the SSPX (and I know that many who post here are SSPX adherents). I think you’re over-analyzing Bp. Fellay’s statement, Louie. The same wormtongues who were behind the Throne during the Pontificate of B16 are still there – in fact, there appear to be even more of them now – and it was those enemies of the Church that blocked the previous attempt at regularization. They will do it again with Francis – in fact, they already have. Bp. Fellay’s statement, and the Communique before that, could be summed up like this: the SSPX has had enough of double-dealing from the Vatican; we will therefore continue our present course until such a time as a Pope appears who implements the will to restore Tradition. Bp Fellay is a politician….and like all politicians he inevitably plays both sides of the fence, especially when pushed into a tight spot. Anyone who saw his interview with Tim Sebastian should be well aware of that, if they werent already. Fr. Karl Stehlin recently gave a sermon concerning the superiors meeting and this communique. It’s on youtube if someone wants to post a link here. It was pretty good and clear. He’s not much liked by the resistance but I think he does a good job getting above the fray with the Immaculata. 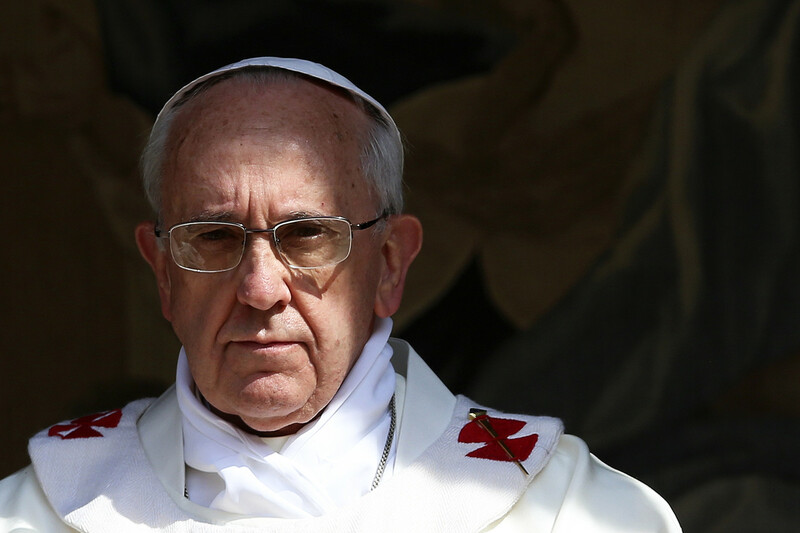 He says the Pope has a sympathy for the Society but it is not based on the Faith it is a sentimental sympathy. Fr. 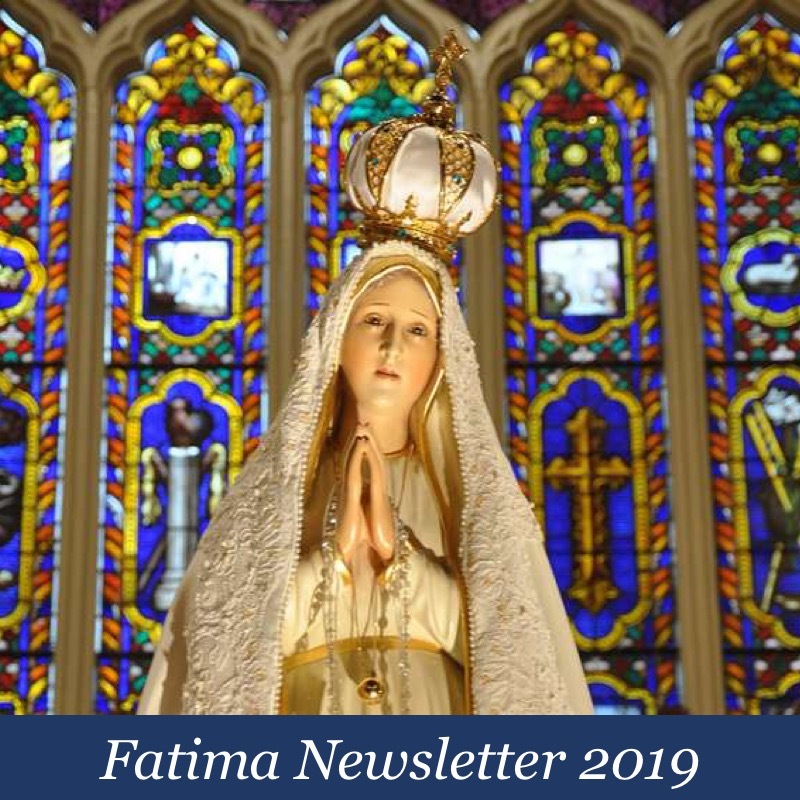 Stehlin says to let go of the confusion and pray and do penance that we have the great light given to our times which is the crucifix in our right hand (Traditional Catholic doctrine and the Mass) and the rosary (Our Lady, especially Our Lady of Fatima) in our left hand. He says the Great Remedy is the Immaculate Heart of Mary. The video of Fr. Stehlin is a good one. I saw the same video on a Resistance forum a few weeks ago. Fr. Stehlin didn’t receive any negative comments that I can remember, but the comments were mainly about the Rosary Crusade that Bp. Fellay is calling for. The view of many in the Resistance ( which I agree with) is that Bp. Fellay is calling for a Rosary Crusade in order that the SSPX faithful feel as if they had a hand in the SSPX obtaining a regularization with Rome, when in fact, Bp. Fellay has already decided to sign a deal with Rome. It’s a sort of manipulation of the Faithful. Not a good thing. But that’s predicated on the assumption that Bishop Fellay’s motives are evil. It’s not reasonable or charitable to assume this, especially, given that he has constantly denied what the resisting folks keep tossing out. There is no deal. That was the line 5 years ago — the deal’s already signed — then the Pope resigned. It’s the typical conspiracy theory illogic. Everything, even the lack of evidence or contradictory evidence, is proof of the cover up. Think about what you are saying and the logical conclusion. You are saying that Bishop Fellay and the various superiors of the Society have been intentionally lying for years and building a massive deception in order to undermine Tradition. Now, in order to continue that deception, they are using the guise of a Rosary crusade for selfish and personal goods. Think about that accusation — it’s a kind of simony. That’s not a rational claim. We shall see if it’s rational or not. Time will tell. Are you aware that Bp. Fellay subscribed to a private revelation (in fully believing in its authenticity) by a supposed “seer” in the 1990’s named Madame Rosinierre , a few years after the death of ABL? The seer believed that the Fraternity should merge it’s mission with that of her private revelations (some of which are charismatic in nature, and Bp. Fellay seems to have initially agreed. But the other bishops were against it, so it didn’t make much headway. Or did it? Madame Rossinierre believed that the Church would be saved from it’s ills by the SSPX, or rather, that God would use the SSPX to “save” the Church. She used some of the same language as Bp. Fellay in describing this scenario. You can go to the Non Possumus blog (Resistance blog) for more info. You’ll need to click on the American Flag icon near the top of the page to translate the page into English (the blog is in Spanish). I just read what that site quotes as being from a “Quo Unum”. Is that a publication for priests? It was hard to understand. It sounded like an alleged seer from Switzerland was telling the Society back in the 90’s that she had been given knowledge of what Providence had in store for them if the SSPX followed her instructions. It had to do with forming an internal group of priests united to Our Lord that would reach out to groups of other priests and together restore the Church. Yes, I think that ‘Cor Unum’ is a publication for priests of the SSPX. You’ve summed up the situation as related to the articles on the Non Possumus website rather well. Not many are willing to read and process that information. It has been my opinion that a new rite ought to be instituted by which the SSPX could exist as it was before the VII. I do not hear the Byzantine Catholic complaining at all about all these changes, and I do not here the pope making a move to force them. I do believe in that way a compromise of this sought could heal the rift at least to make an honorable and legal peace. The Order of St. Peter was a concession which was a relief but not a resolution. The question goes beyond the Tridentine Mass. Rome has just created the Personal Ordinariate of the Chair of St. Peter for the Anglicans. This is not unusual for the Church to have various rites. So why not create another as the “Tridentine Rite” for instance. I think Rome might fear a flood of faithful making their way over. Well, it couldn’t be much worse than things are already. “… supposing that Rome calls for a renewed dialogue, then, I will put in conditions. I shall not accept being in the position I was put in during the dialogue. No more. Which is why I can’t understand why Bp Fellay is talking to them in the first place. I see this as a mistake! And agree with many concerning this pope that he’s the worst pope in history, which is why I don’t understand why the SSPX is talking, no talking shut the door , and pray for their souls instead. They will never accept the SSPX rejection of Vat II, it useless. So why bother. Our Lady’s triumph will surely come, but I don’t see how it will come as of yet , I don’t see the “it will be late” yet. this pope is having a grand ole time destroying the church, but it’s not over yet! It can get a lot worst, there’s room for more error. We don’t know how far Our Lord will allow this go on, He didn’t exactly tell us, but the vision of the pope from Heaven, tells us it’s going to get a lot worst. Why people don’t pay attention to Our Lady’s message is beyond me. As you can see that now in this pope. Thank you for sharing this statement.